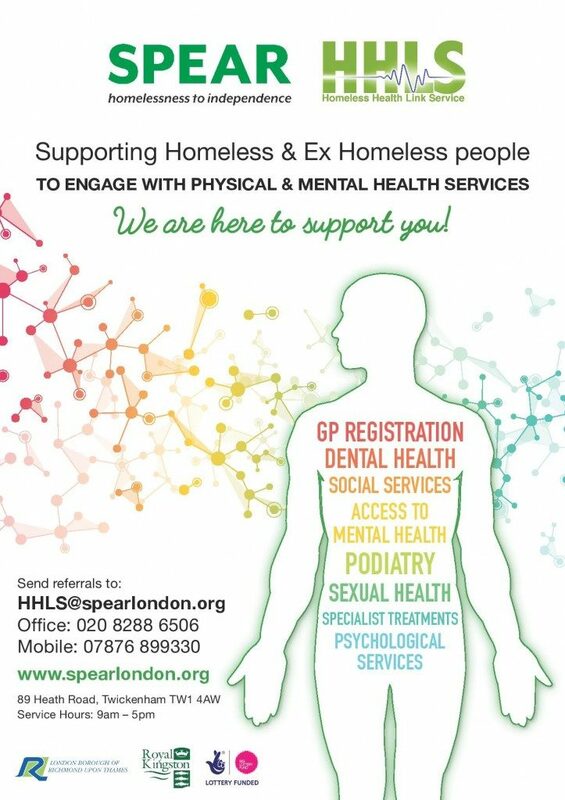 SPEAR’s Homeless Health Link Service (HHLS) serves current or former rough sleepers in Richmond and Kingston. 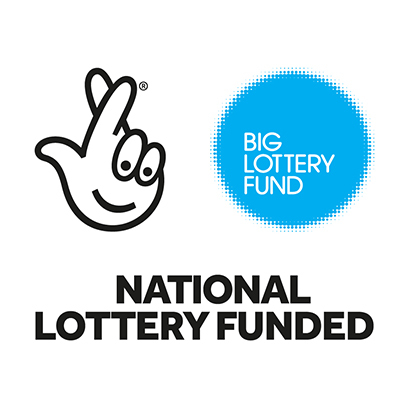 Originally funded by the Department for Communities and Local Governments’ Help for Single Homeless Fund it is currently funded by the Big Lottery Fund. The SPEAR Homeless Health Link team includes a Team Leader, two Health Link Workers (one for each Borough), two paid Peer Advocates, SPEAR volunteers and peer volunteers. 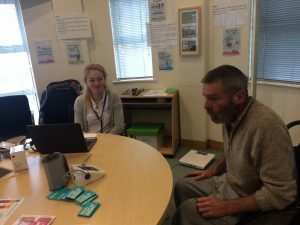 Without good health, homeless people face little prospect of moving on, perpetuating the cycle of homelessness. Alternately fill in this form; Health Link Referral Form and email it back to us.